Artificial Intelligence (AI) is becoming an ever-present theme across a variety of industries, from healthcare and retail to software development and finance. The sales industry is a bit newer to the AI push, but the effectiveness of data analytics and machine learning for salespeople should not be overlooked. There is a major problem facing sales reps: They can’t find enough time for actually selling. In fact, reps spend 65 percent of their time on everything other than selling, including tasks such as checking commission reports or trying to calculate incentive compensation. This time spent on what is essentially administrative work cuts down on the time that reps actually spend selling. There are a variety of answers to this problem, which leads to sales funnel slowdowns that detrimentally impact a company’s bottom line. Perhaps the simplest answer is sales performance management (SPM) technology, and particularly data, but having the data itself isn’t enough. Companies and teams must learn how to move beyond the simple calculations to create a system that not only provides sales reps with more time for selling but creates an environment that helps keep top sellers engaged and make average salespeople into top sellers for your company. To implement this kind of advanced SPM technology, teams must understand and explore how data analytics for selling work, where AI comes in, and how you can scale this technology across a global sales force. What Can Data and AI Really Do? It’s easy to suggest data analytics and AI as buzzword tactics to implement in your sales department, but how does it work, and what can data and AI really do to help your company increase revenue? Data analytics allows sales reps to compare funnel conversion rates among peers or against benchmarks to help them pinpoint potential or current problems in their selling. For example, if a rep can identify that they have an unusually low conversion rate, they can begin to understand where they have an issue in their sales tactics and work with a peer or a manager to create a plan to address it. Similarly, data can provide reps with the clear direction they often lack by providing, for example, insights such as they’re targeting customer companies that are smaller than average, or they’re offering too many discounts. In the same vein, management can also see whether a sales rep needs more personal attention to improve his metrics. While data analytics can prove invaluable in helping salespeople become better at selling, it still doesn’t fully solve the issue of giving them more time to sell. This is where AI and machine learning come into the mix. Think of them as your personal administrative assistant, capable of giving you back time you didn’t even know you were losing. For example, AI can automate tasks such as researching relevant data for a new client or organizing your pipeline of leads. Machine learning can also help optimize quota-setting by providing recommendations based on current and historical company revenues and quotas, creating a more realistic quota that is evenly spread throughout the year. With only about 50 percent of sales reps meeting their quotas, utilizing technology to improve that statistic can immensely help your company’s bottom line. Outside of the day-to-day sales tasks, machine learning can also help companies attract and retain employees by tailoring incentives toward the specific worker and using simulations and modeling to reward talent performance, ensuring salespeople are being compensated accurately. It costs employers 33 percent of a worker’s annual salary to hire a replacement worker, so implementing a system to ensure employees are being paid fairly can more than pay for itself. Now that you understand what data analytics and artificial intelligence can do, you can address the considerations of implementing a data-driven SPM strategy for your sales team. The first consideration is which datasets you want to measure based on the goals you want to achieve. For example, AI and machine learning can provide predictive value to budgeting, forecasting, and accruals. It can also help manage inventory and production by predicting the quantities of a certain product that a client will need based on historical selling patterns. After understanding which data you’re measuring and why, you must make sure that data is readily available. A few metrics that most sales teams will want to measure are financial metrics—including sales spending and profitability—and operational metrics such as conversion rates, close rates, and pipe aging. Additionally, field metrics such as deal size, discounting, seasonality, lead response time, and contract terms are helpful in structuring your data analytics. Creating data analytics systems with advanced SPM technology can seem complex, even for a small sales team, but when your sales force is located around the globe with countless managers and reps, different languages and different regulations, it can seem even more overwhelming. However, data-driven SPM can actually increase scalability requirements, as cloud computing can handle large volumes of data that previous technology platforms could not. The right advanced SPM technology can also provide more flexible access to data consumption, meaning someone in Ohio can access the same datasets and gather intel from a sales team at their company base in California. This creates a huge advantage for companies with nationwide or global sales teams, as they can learn from each other to create better selling tactics. 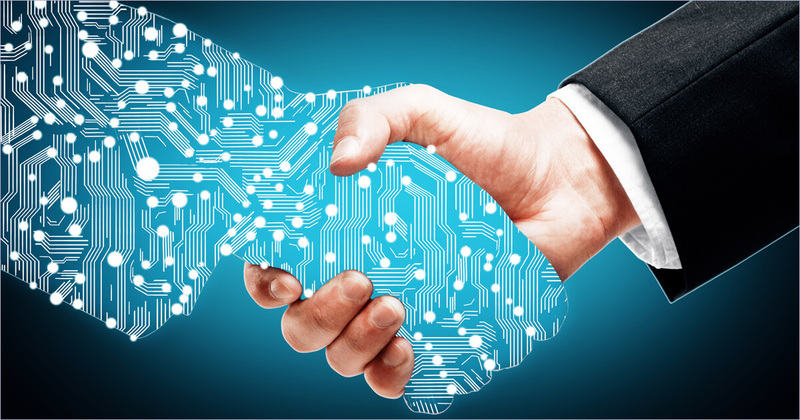 When it comes down to it, advanced data analytics and AI are the key to providing sales teams with the information they need to address an underlying selling problem or make a change in their strategy, ultimately leading to an increase in sales, and, therefore, revenue for the company. Mike DeLeonardis is president, North America, at beqom, a cloud-based total compensation and performance management solution. DeLeonardis has 20 years of experience managing enterprise cloud software and service businesses.